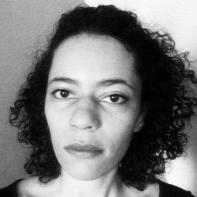 The poet Iyana Sky received her Bachelor of Arts in English from the University of North Texas. Currently, she lives in Columbus, Ohio, with her husband and daughter. Her work is forthcoming in Glint Literary Journal. only in caress, no matter the verity I absolve. to my friends that would shame a farceur. cold curses, my body loosened threads. I will forget what might come.